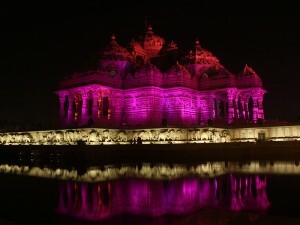 A brilliant pink illumination of Swaminarayan Akshardham in New Delhi on Saturday 20 October 2012 kicked off the support of Breast Cancer Awareness Day in India. 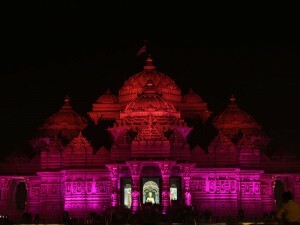 The pink lighting of the Mandir was seen by thousands of supporters and visitors. A call to illuminate iconic landmarks, monuments and buildings in the official pink colour, the pink lighting advocated the need for breast cancer awareness. Commemorating Breast Cancer Awareness Month and supporting the global campaign of Breast Cancer Awareness, other monuments and buildings were illuminated in pink across New Delhi, including Qutub Minar, Safdarjung Tomb, Shah Burj and hospitals of Max Healthcare. Awareness in India Breast cancer is one of most common forms of cancer in India. Every year, almost 1.1 lakh new cases of breast cancer are reported in India – especially of urban women and young women. Since little education about this disease is known in the community, awareness and education is imperative for prevention, control and treatment. Breast Cancer Awareness Month Breast Cancer Awareness Month is an annual international health campaign organized by major breast cancer charities every October to increase awareness of the disease and to raise funds for research into its cause, prevention, diagnosis, treatment and cure. The campaign also offers information and support to those affected by breast cancer. 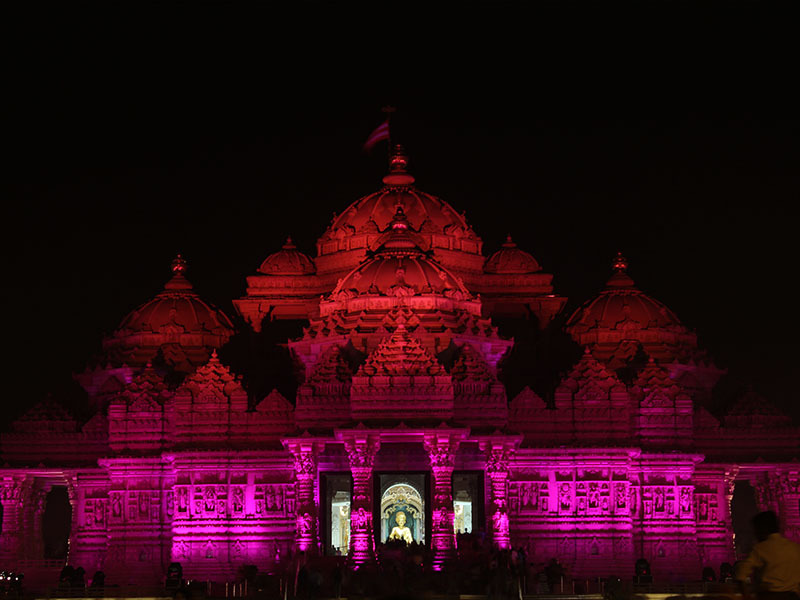 BAPS Swaminarayan Sanstha Supports Awareness BAPS Swaminarayan Sanstha has been supporting Breast Cancer Awareness worldwide, along with many other humanitarian causes. 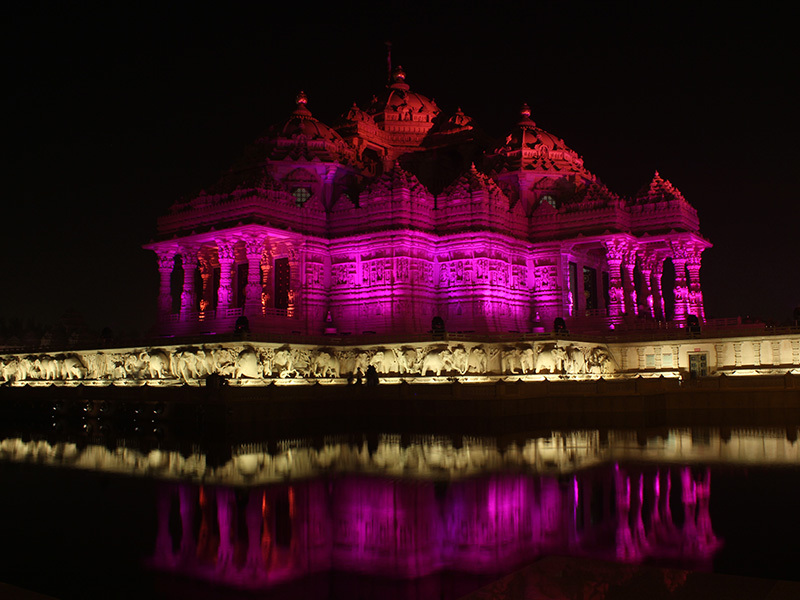 Last year, BAPS Shri Swaminarayan Mandir in London was illuminated in pink on the evening of Wednesday 26 October 2011 to support Breast Cancer Awareness Month.